National Highway Authority of India is coming up with all the best possible facilities to take better care of the highway commuters. Now, NHAI has set up the world-class incident management system on national highways. 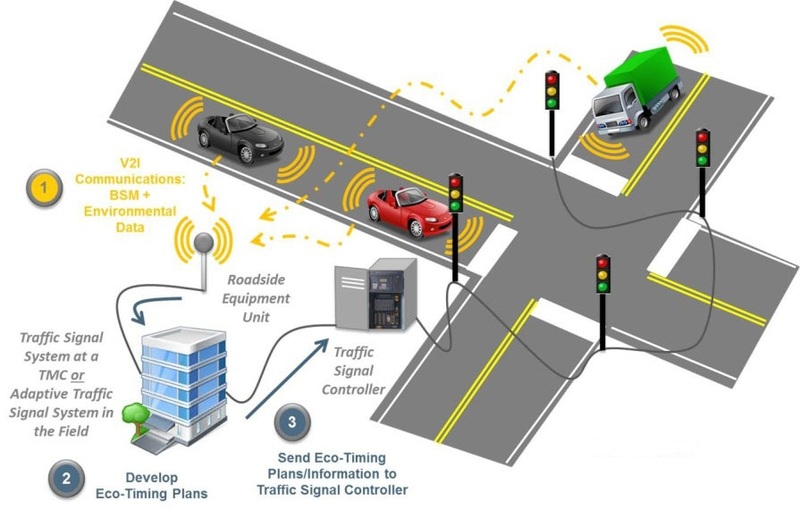 It is one of the systems under Advanced Traffic Management System. This will provide the facilities like ambulance, crane, GPS monitored patrolling vehicle and more. The target is to provide the required facilities within 15 minutes on the highways in case of emergencies. Apart from this, NHAI is setting up the 24X7 National Highways Helpline – 1033 for the highway users and making a Central Command and Control Centre at HQ to monitor the Highway traffic. According to several surveys, every year around 1.5 lakh people meet their fate on Indian roads in accidents. These worrying statistics of road accidents made the government think seriously and as a result of which Incident Management System came to an existence. Under this system, ambulances will be positioned every 50 Kms on the National Highways, ready to respond to an accident within 15 minutes after receiving the information. As per the parameters, NHAI is deploying large ‘four bedded’ ambulance with medical recovery systems placed at every 100 Kms and also the ‘two patient capacity’ ambulance at every 40-45 Kms on the Highways. The first phase of this system has already started from December in Tami Nadu, Delhi, Rajasthan, Uttar Pradesh, Haryana, Gujarat, and Maharashtra. Further extension of this system will be carried out in Telangana and Karnataka as well. 1. 24X7 National Highways Helpline – 1033 – for the instant assistance during emergencies like accidents, breakdown, fire, and ambulance. 2. Alerts or alarm messages about the unusual condition on the road. 1. Information for effective handling of traffic. 2. Information regarding the location of an accident for quick assistance. 3. Mobilize, monitor and guide the movement of ambulances, cranes and patrolling vehicles through GPS monitoring. 1. Provision of reviewing live feed and recorded archives of CCTV. 2. Live audio patch-up with the highway stretch manager, ambulance facility and trauma centre. 3. Assessment of traffic at a specific location on the Highway for authority to take adequate actions thereupon. 4. Live feed of details related to incident management and GIS map-based monitoring facility of the entire highway stretch. 5. Active monitoring of the service provider performance. I just now went through one of the similar article #Highway Nest (Mini) it is co-related to the NHAI amenities. It is really beneficial to frequent travelers. India ranks second in the world in terms of road network connectivity, where 15-crore commuters take their journey through national highways each day. People spend ten minutes of their time on an average at each Toll plaza. Passengers who travel through highways face difficulties in terms of basic amenities. Also, the death rates due to road accidents have increased drastically. 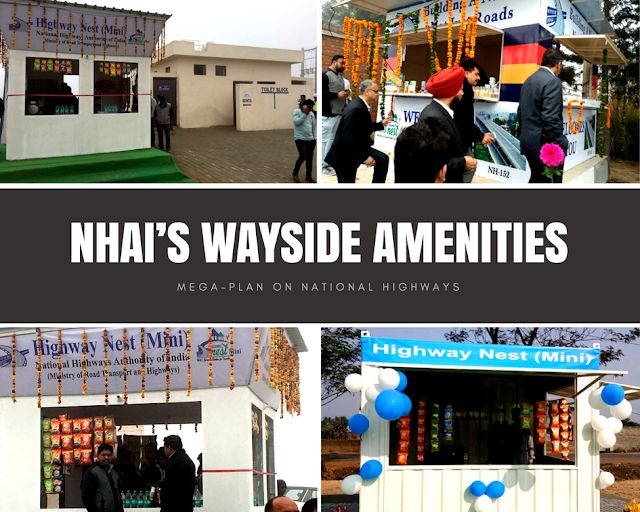 To mitigate these issues, the Ministry of Road Transport and Highways (MoRTH), through the NHAI, has launched the Wayside Amenities program to improve the availability of civic amenities on Indian National Highways. As a part of this, NHAI is building three structures to provide basic, moderate and advanced amenities to commuters. These facilities include branded restaurants, ATMs, fuel stations, kiosks to sell basic sundry items, eatery, restrooms, parking lots, helipads, village haat and more. National Highways Authority of India (NHAI), the autonomous agency of the Government of India, responsible for the construction and management of the Highway Network in India, is committed to provide world-class facilities to highway users while travelling on the National Highways of India. Apart from constructing National Highways at unparallel speed, it’s also working relentlessly to integrate Information Technology for the efficient management, construction and operations on these highways. This ambitious IT project of NHAI is set to improve planning, monitoring, operation and maintenance of the Highways. NHAI’s consistent and focused efforts are serving to achieve the vision of Honorable Prime Minister Shri Narendra Modi’s Digital India.